TAMA Peter Erskine Signature Snare Drum 10 x 6 in. New Item! Expected to Ship 07-27-2019. Amazing craftsmanship and design for one of jazz drumming's modern legends, Peter Erskine. Jazz legend Peter Erskine’s 10x6 in. signature snare drum was developed with one of his favorite STAR snare drums in mind—the Stave Ash model. 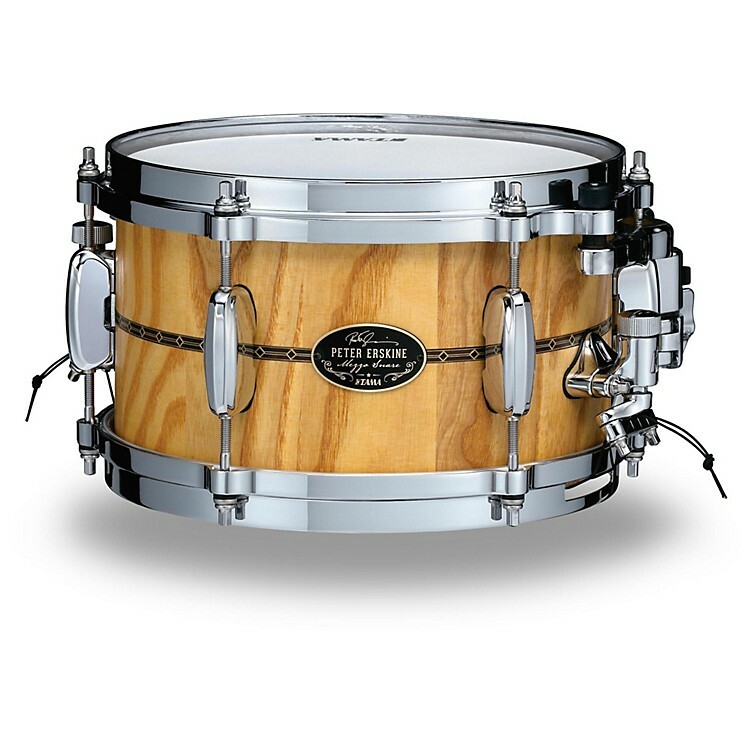 Tama's stave shells are constructed using 12 portions of wood that are cut to precision, then bonded together, tightly forming the 10 mm thick shell. Peter prefers the tone of Ash wood for his side snare that provides quick, cutting attack and response. The snare drum is equipped with the Super Resonant Mounting System to maximize the natural resonance of the drum, and for easy positioning around the kit. Snare Size:	10 x 6 in.